"Dr. Irizarry is an amazing physician and skin artist. I highly, highly recommend!" "Dr. Deb is fantastic! Definitely worth a visit!" "She is the BEST! You will never walk out disappointed." "Dr. Irizarry is outstanding. The quality of her work and professionalism is unbeatable."  Debra Irizarry, MD is a board-certified plastic surgeon with extensive experience in a wide breadth of surgical subspecialties. From her renowned aesthetic medicine practice with locations in Salida and Crestone, Colorado, she provides a complete menu of medical and cosmetic skin care services, as well as minimally-invasive aesthetic treatments, to residents in the central Colorado region. After receiving her medical degree with honors from New York Medical College in Valhalla, New York, Dr. Irizarry went on to complete a residency in general surgery at the New York University School of Medicine, followed by her residency training in plastic surgery at Montefiore Medical Center in New York City. With more than 20 years experience since becoming a board-certified plastic surgeon, Dr. Irizarry has focused her expertise in the field of minimally-invasive aesthetics and rejuvenation. She has extensive experience with Botox®, dermal fillers, and laser therapy for skin renewal. She’s also a skin cancer expert and breast reconstruction specialist. An award-winning realist painter who garnered the 2001 Juror’s Choice Award at the Colorado State Fair Art Exhibit, Dr. Irizarry brings artistic skill and rigorous attention to detail to patient care that she uses to bring out the natural beauty in all her patients. Dr. Irizarry is a Fellow of the American College of Surgeons. She’s affiliated with the Heart of the Rockies Regional Medical Center in Salida. Why Choose Dr. Irizarry as your Board Certified Plastic Surgeon? ✔ She will complete all cosmetic procedures herself, and will not pass you along to have the procedure done by a nurse or an aesthetician. ✔ Her procedures are all competitively priced. ✔ She has an artistic eye that has helped her to become the best in her specialty and won first prize as a realist oil painter in the Fine Arts Exhibition at the Colorado State Fair. Call or book online today to schedule an appointment. At Dr. Deb Irizarry, we accept most major insurance plans. Here is a short-list of some of the most popular plans we accept. Please contact our office if you do not see your insurance provider listed. New Fillers mean Less Needles! New Hyaluronic Acid facial fillers Voluma, Vollure and Volbella last significantly longer than Juvederm Ultra and Juvederm Ultra Plus. This means less injections to keep results. Dermatology is concerned with the diagnosis and treatment of skin disorders. Plastic Surgery is a specialty concerned with disorders of many parts of the body, including skin. Some moles called “atypical”, are possible precursors to melanoma. "I have been with her for a decade and she always produces an excellent result. Her prices are beyond competitive." "She is incredible. Professional, yet so approachable, competent and educates her clients to be the best possible them." "Dr. Deb gives the utmost professional experience. She relates to her patients well and also brings forth a wealth of background knowledge." " She is AMAZING with lips, cheeks, jawline, chin, botox, Xeomin and Dysport."